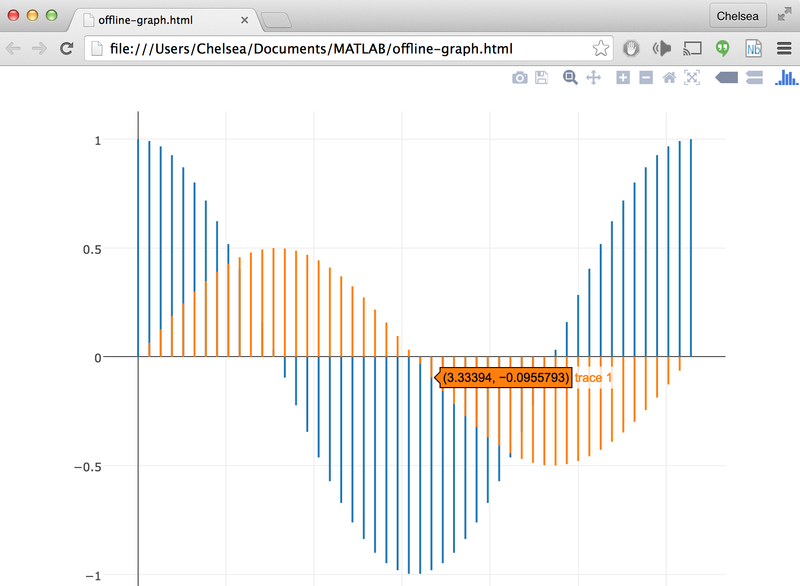 NEW: Plotly's MATLAB library v.2.2.0 now includes support for Plotly Offline. 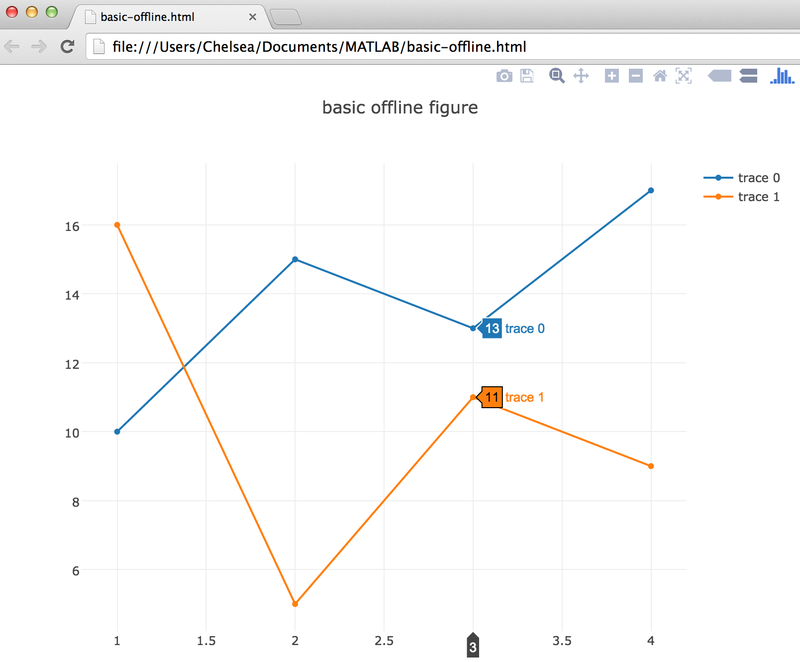 Instead of saving the converted MATLAB figures to a server, your data and graphs will be saved as html files to your current working directory using Plotly Offline. These html files will contain all of the necessary dependencies to render the plot within a browser. When you're ready to share, you can just publish them to the Chart Studio Cloud or to your company's internal Chart Studio Enterprise via the save icon in the modebar. Describing figure's using Plotly's native syntax is a more cumbersome but powerful and flexible way to create Plotly figures. View more examples at the bottom of each example page on plotly's online MATLAB documentation. %% Describe your figure: data and layout.